This year, Jendamark Techcellency (JMKT) delivered a first for India and its biggest order to date – an innovative engine assembly line that uses augmented reality to guide its operators. 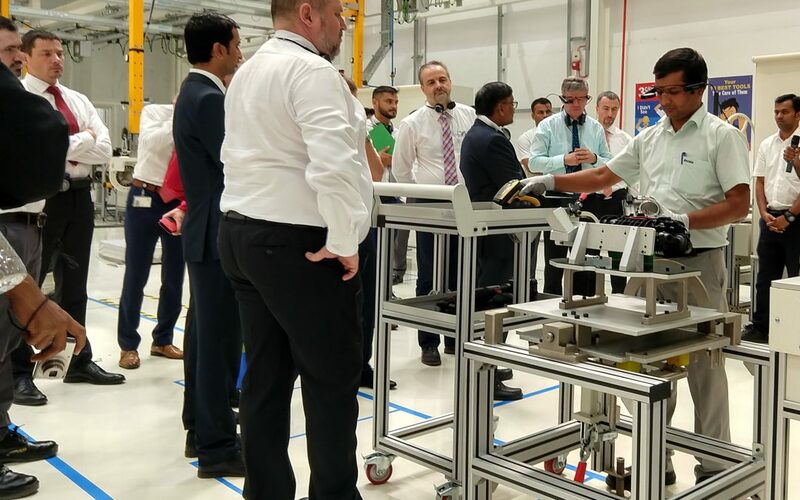 In May, this line was installed in the Skoda plant in Aurangabad, where it is being used to assemble four-cylinder R4 and six-cylinder V6 engines. The €2.5 million production line, which took 10 months to complete, has successfully produced the pilot series of engines and is currently gearing up for a ramp up in volumes. team but for the customer too. “As a turnkey project, it was extremely complex and many of the aspects had never been done before. Our engineers spent a considerable amount of time understanding the requirements, coming up with innovative solutions and making it work. capabilities as a leading tech-oriented company,” says Jadhav. 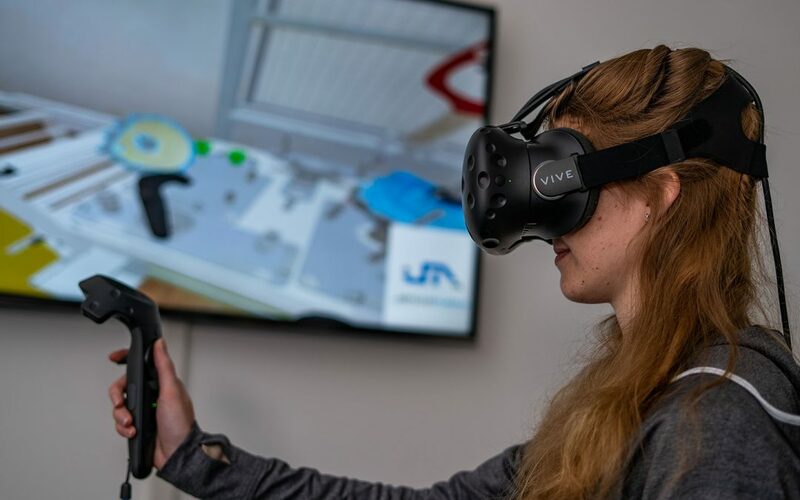 First among these is the use of augmented reality glasses in the production environment to guide the operator through the assembly process. There is also the extensive use of tools and gauges that transfer critical production data via a wireless network. “All of these Industry 4.0 solutions are based on our Odin software platform,” says Jadhav. The complete line entailed the design and manufacture of more than 300 items required for the assembly of the engine in the most cost-effective way, without compromising on quality. Teams from South Africa, Germany and India were involved in every aspect of the project from design to execution. Jendamark continues to push the boundaries of possibility with its longest and most automated powertrain production line so far. This differential assembly line is also the largest single-order project ever to be completed by the Group. 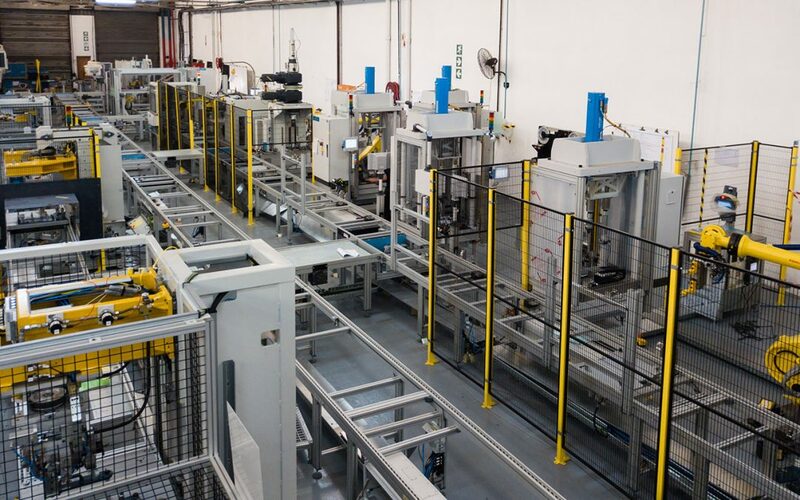 Designed to assemble the GM-A2xx platform differentials for General Motors, the line has been installed for ZF at their Gainesville facility in Georgia in the United States. Jendamark’s head of powertrain assembly, Johan Labuschagne, says the project turnaround time was 12 months, as the entire line had to be designed from scratch. “No existing machine designs could work for this specific product, except our pinion nut tightening machine, which also had to be modified,” says Labuschagne, adding that it was the first full differential assembly line supplied by Jendamark in 15 years. It was also the first line to use the latest version of Jendamark’s production and line management software, Odin. This was particularly important as the assembly process involves gauging to select the right parts for optimum performance of the differential unit, and testing – including a backlash measurement and leak testing – to verify that the assembly process was done correctly. “Its value has been proven, and we have received an order for another production line using Odin from the same customer,” says Labuschagne. Q:You and Jendamark share the same home town of Port Elizabeth. What makes the city such a great training ground for you? A: There is a lot of variety on my bike rides; I can practise on the Ironman Africa race course or head outside the city to tackle some hills. There is also great running where I live in Sardinia Bay. Plus, there’s a handful of quality pools to choose from for my swim and, of course, the Indian Ocean. Q: What drives you to push the limits of your physical endurance in not one but three disciplines? A: I love the challenge. I didn’t get the opportunity to try out any other sport beside Ironman when I was younger. I came across it by accident and found I was pretty good at it after finishing my first race. Q: What has Jendamark’s sponsorship enabled you to do in your career? A: My sponsorship with Jendamark has allowed me to train full time as a professional triathlete and race not only in South Africa but abroad too. Q: What does your average training day look like? A: On a typical day, I will train for at least six to eight hours on all three disciplines. I start with my bike ride – anywhere between two and seven hours. Then I head to the pool at lunchtime and swim four to five kilometres. After lunch I will have an afternoon sleep to recover before finishing off my day with a 45 to 90-minute run in the evening. Q: How do you fuel your training? What does your daily diet look like? A: I have pretty normal meals, consisting mainly of good proteins, high fats and lower carbs. When I train, I use energy drinks to help with electrolyte replacement and calories. I burn between 3 000 and 6 000 calories per day. I also take a recovery shake to add a larger number of calories into my diet than food can. Q: How many pairs of running shoes do you wear out in a year? A: I go through roughly five pairs of running shoes for training and I use a brand-new pair of racing shoes for every race. So that’s about another four or five pairs of racers. Q: When you’re struggling on the run/swim/cycle, how do you motivate yourself? What do you think about during those long hours? A: I think about winning my next event – it is always on my mind. When racing, I think about those long hard days in training that I do. I also think to myself that, when my race career is over, I want to look back and say that I gave my best effort – and not that I should have trained harder! 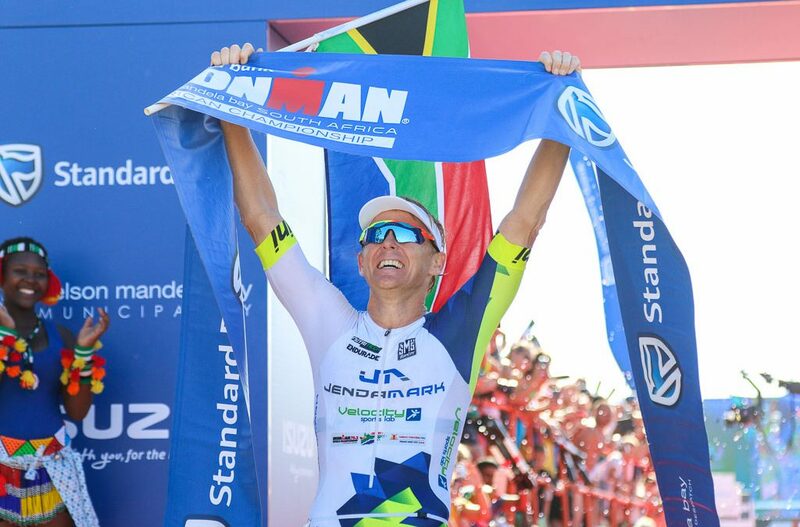 Q: Was winning the Ironman Africa Championship in your hometown the high point of your career so far? Q: What’s your favourite memory from the day? Q: What are some other career highlights? A: I will never forget the feeling of winning my first-ever Ironman at Ironman Lake Placid in 2014 in my first year as a pro. Another highlight was taking the overall course record at Ironman World Championships in Kona as an age-grouper in 2013 – and still holding that record today. Q: What has been one of your serious lowlights? And how did you move past it? A: In October 2017, I had a very upsetting race at the Ironman World Championships in Hawaii. I was in the absolute best shape and form of my life. Predictions and numbers were showing that I should be in a great position to finish top 10 overall. Then my race didn’t go as planned. I had a mechanical on the bike and was the last male pro to finish that leg. Looking back, I might have also picked up a virus that I didn’t know I had. On the morning of the race I could not stop sweating, which, looking back, should have been a red flag for me. The night after the race I was extremely ill and almost couldn’t catch my return flight home. I was sick for an entire month and slept day and night for the first five days. To get over the disappointment, I had to remind myself why I chose this sport and of the love I have for it. I also had to remind myself that I have a lot of people who support me and surround me with so much positivity. This encouraged me to get my fight back and start my training again. Q: What are your plans and major goals for 2019? 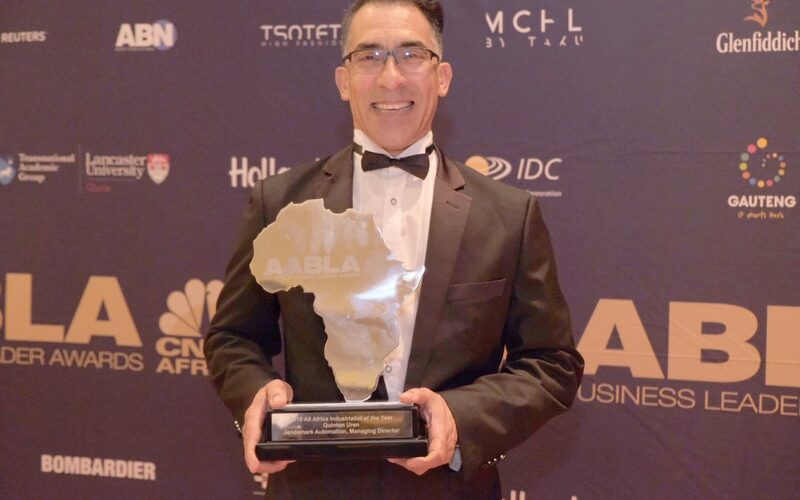 A: My number one goal is to defend my title at Ironman African Champs in April and also to improve my position at the Ironman World Champs in Hawaii.